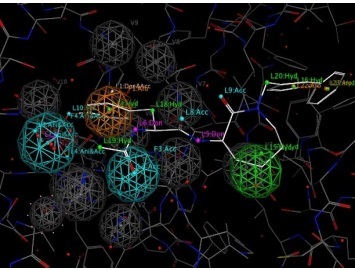 Src homology 2 (SH2) domains are 100 amino acid modular units which recognize and bind to tyrosyl-phosphorylated peptide sequences on their target proteins, thereby mediating intracellular protein to protein interactions. 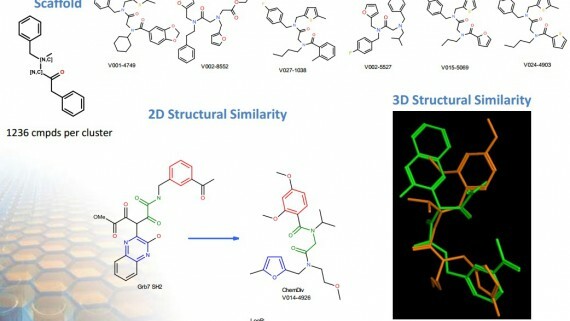 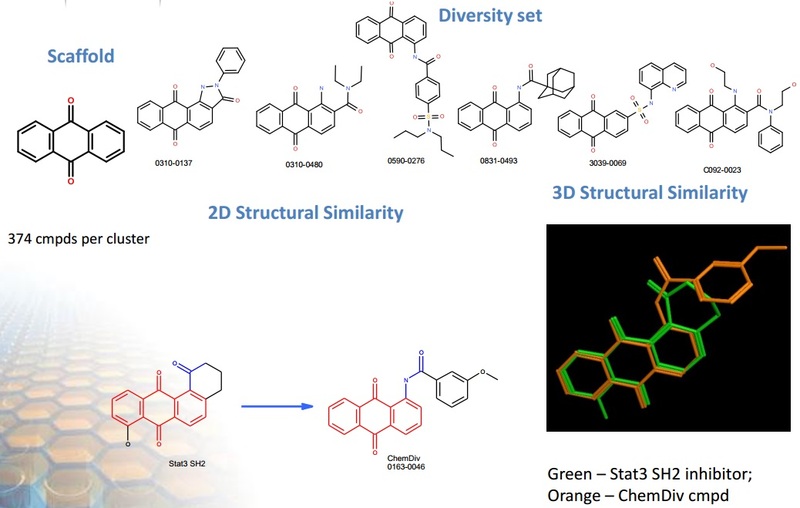 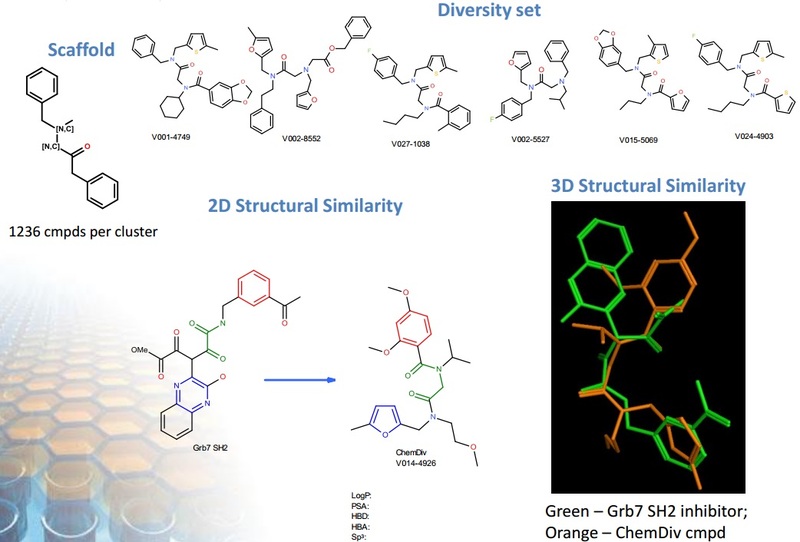 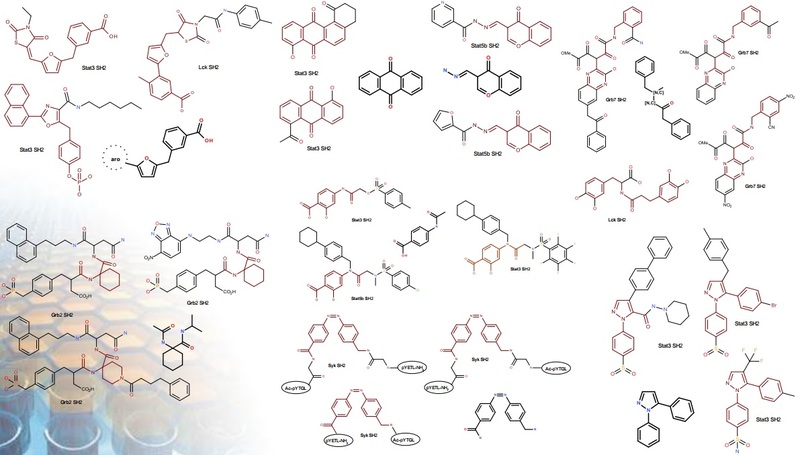 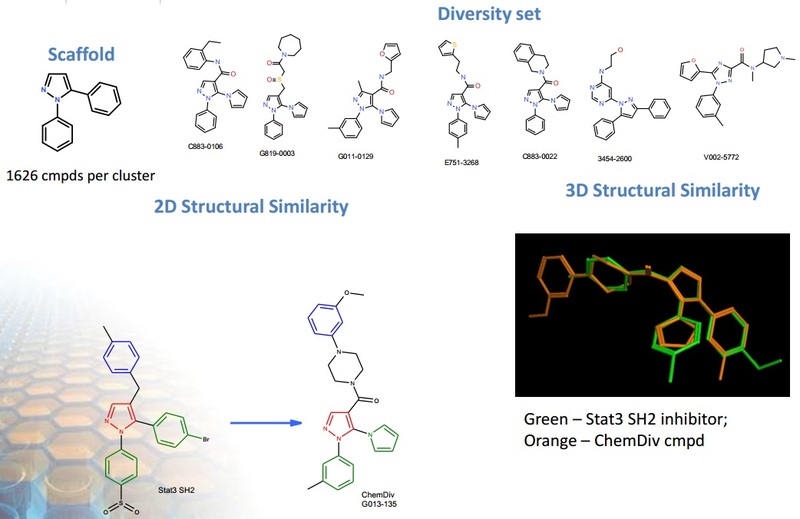 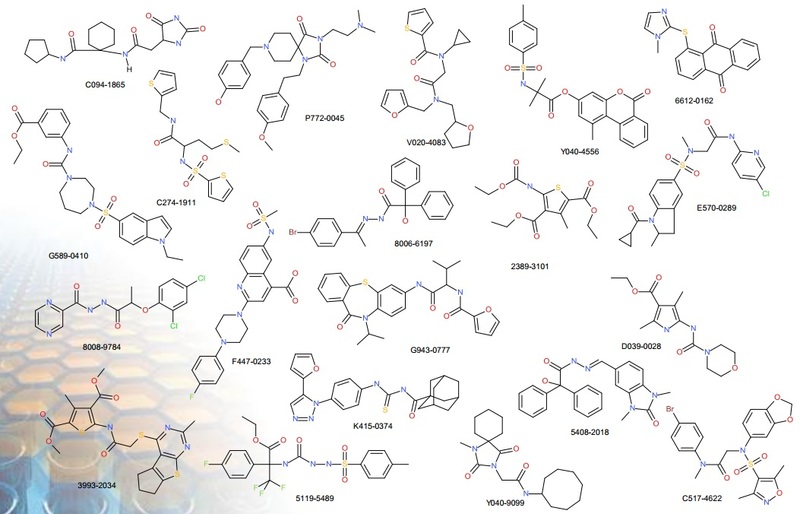 Currently, more than 50 crystallographic complexes obtained for various small-molecule SH2 domain inhibitors are available within the PDB databank. 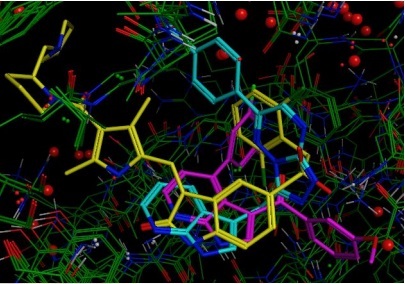 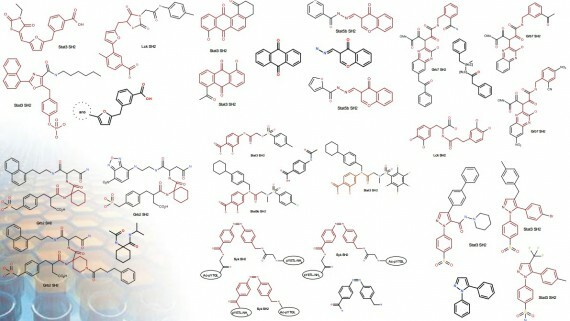 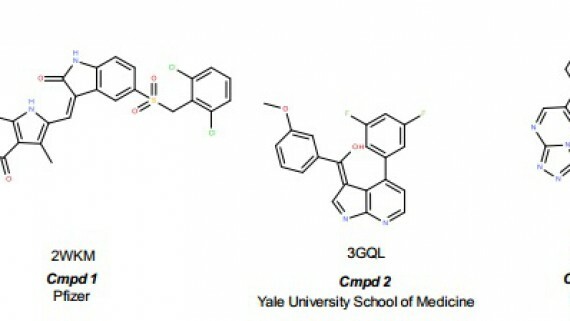 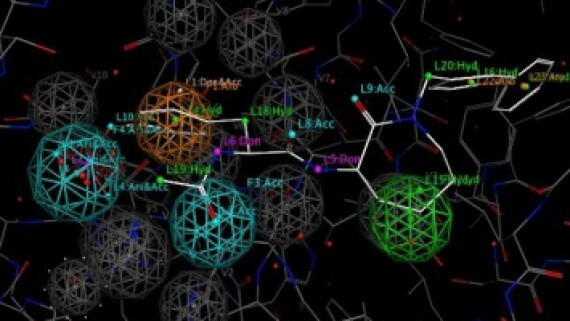 The 4-centered pharmacophore model was constructed based on the selected x-ray data (2WKM, 3GQL, and 4AOI). 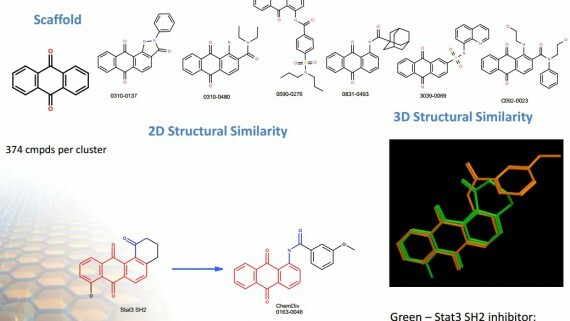 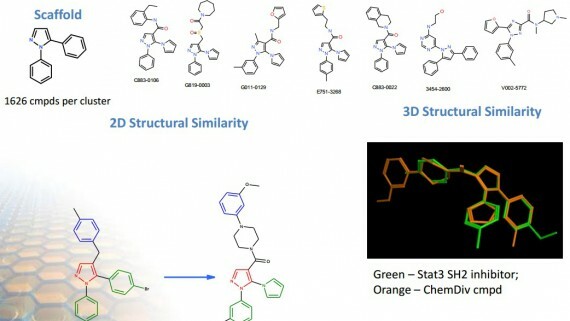 There reference compounds were then docked into the constructed model starting with the 2D structures form without any stereo assignment. 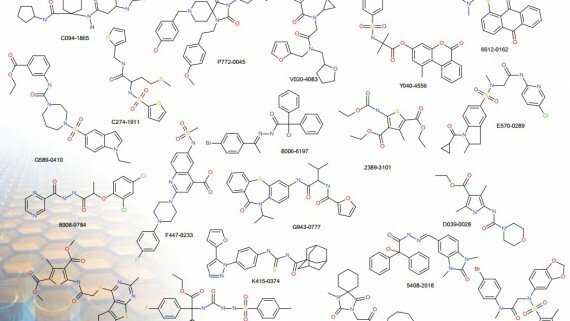 The obtained results are well correlated with the RSA data used (av. 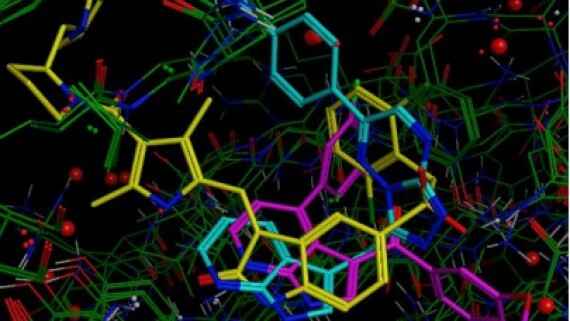 RMSD=0.2).